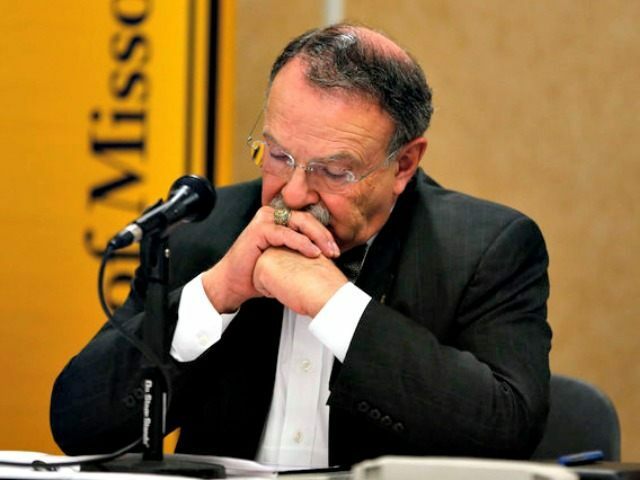 Just hours after the apologetic resignation of University of Missouri President Tim Wolfe, the small Black Lives Matter-influenced activist group #ConcernedStudents1950 got another major scalp, as Chancellor R. Bowen Loftin announced he was resigning, effective at the end of year, and “transitioning” to another role. Earlier in the day, Roll Call reporter Eli Yokley reported that “word on the street” was that Wolfe wanted Loftin to resign. Although removing Loftin was not one of #ConcernedStudent1950’s demands, he had been the focus of complaints by #ConcernedStudent1950, so the group’s supporters wasted no time in claiming victory. The resignation of Loftin came even after he had met with students at the tent city they’d erected on campus. “It is imperative to take immediate action to begin the process of resolving the issues and improving the environment,” they wrote. On Sunday, faculty members of the Department of Romance Languages and Literatures sent a letter to the Curators saying they had no confidence in Loftin’s leadership. The letter said 28 faculty members in the department expressed no confidence in Loftin; two abstained from the vote. The dual resignations show the sway that the leftist protesters held over the University of Missouri’s administration after Black Lives matter-inspired activists led to black players from the University of Missouri football team announcing a strike this weekend.